That's supposed to change soon. 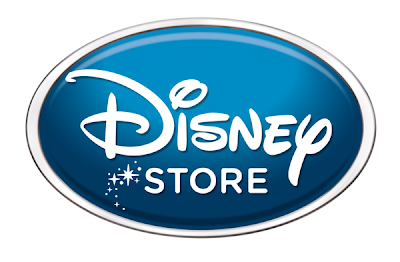 Remember that re-imagining of the Disney Stores that Bob Iger has planned for the chain? Well, it's going to be opening it's first new vision of the retail outlet next month at The Shops at Montebello in Montebello, CA. Over the next seven years the plan will be to change the atmosphere at each of the approximately 200+ stores of the chain (about 20 will open this year in America and Europe). When the Mouse sold the chain there were near five hundred stores, but the brand became diluted and the service became less memorable. Really looking forward to this. I stopped into The Disney Store at Fox Hills Westfield at Christmas last year. About the ugliest store I could imagine. Here's hoping they hit this one out of the park. I'm interested in seeing this concept. I heard about it at the D23 Expo, but it was so vague at the time that I couldn't understand the concept. When Disney stores are everywhere, they become no different than the Gap or Target or GameStop. Did they drop the "Imagination Park" re-branding? I hope there's going to be merchandise for the big kids as well. My complaint with the current stores is that it is only targeted to the little kids - if the stores actually expanded their intended demographic, then I think there would be much more promise. Let's hope that in time they wil open them up in Australia again. Since they closed after the sell off early 00 decade we are straved for this kind of store. Visiting the US in February it was fun to go into one of the Disney Stores and get items that you just can;t get down under! Looking forward to these new stores. Hope we get one near us again. More good news today, Haim Saban bought back those stupid MM Power Rangers from Disney.